Charles Dickens created some of the world’s most memorable fictional characters. Widely regarded as the greatest writer of the Victorian period, his novels and short stories continue to be widely popular today. 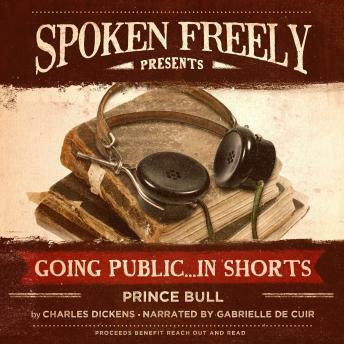 One of his lesser known works, “Prince Bull” is the story of a powerful prince named Bull; his lovely wife called Fair Freedom; and Tape, his wicked fairy godmother. Though written in fairy tale form, the story is a satirical commentary on Crimean War.